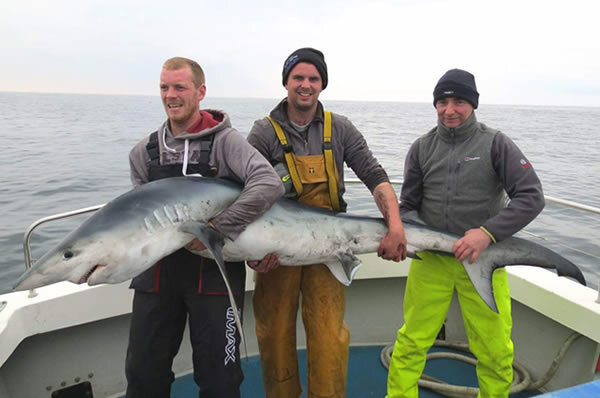 We are experts in shark fishing & reef/ ground/ specimen fishing along the coast of Galway in the West of Ireland. 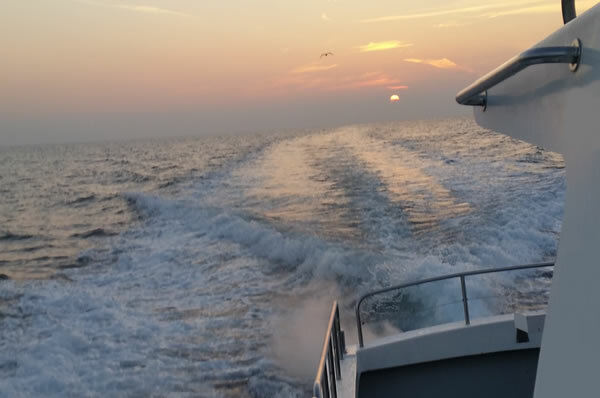 Aboard our Galway based Sea Angling boat, the Brazen Hussy II, we offer an all year round angling experience for both the experienced sea angler and the complete beginner. 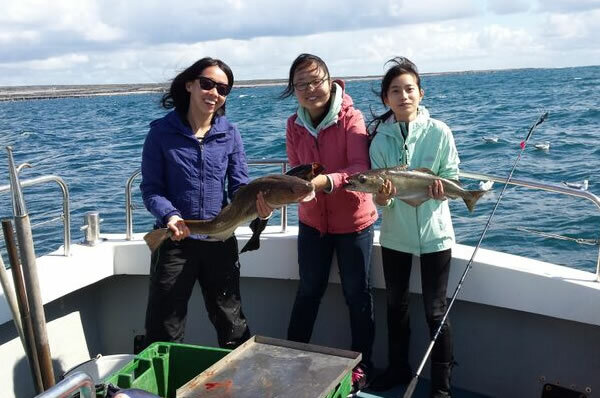 Galway Bay and its outer fishing reaches offers the sea angler many opportunities to fish, not just shark fishing, but for many different species including Ray, Turbot and the Giant Common Skate. All equipment is provided. The highlight of the sea angling calendar! Sharks frequent the waters of Galway Bay when the water temperature rises to 13.5 degrees typically around June to October. Depending on the species of fish being sought, and the Irish weather, sea fishing in Galway Bay departs from either Rossavell, Galway docks or Spiddal harbour. Our Brazen Hussy II can accommodate 12 people comfortably for all day or half day sight seeing crises along the Wild Atlantic Way. Experienced guide included!